Set against the backdrop of rising global demands for safety and security products and rapid growth of IoT, local industry development in China is also catching up fast with more intelligent products. Since 2004, Guangzhou Public Security Technology has been serving the industry for more than a decade and has developed into an unparalleled industry event for security and safety products and solutions in Southern China. In 2018, Guangzhou Guangya Messe Frankfurt and Secutech, a world-renowned safety and security trade fair brand owned by Messe Frankfurt, will join force to hold GPST. Under the new collaboration, GPST 2018 is projected to draw more than 200 quality manufacturers and solution providers of safety and security technologies. Over 10,000 visitors representing the government’s public security department, systems integrators and research and development bodies are also expected to attend. The move can further benefit the show by bringing in a strong lineup of industry leaders and stakeholders, and will enhance the show into an international platform for product launching and sourcing. 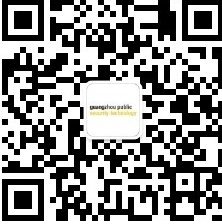 Here you will find all information about Guangzhou Public Security Technology. The comprehensive complementary programme of events rounds off your visit to Guangzhou Public Security Technology, giving you a concentrated overview of the latest trends and developments in the security technology sector. Find out all exhibitors and products of Guangzhou Public Security Technology. We have many impressions of products, events and encounters. Here you will find a selection of pictures of the Guangzhou Public Security Technology. Leading business platform in South China for security products solutions. All information about your presentation at Guangzhou Public Security Technology.